While the media fans the flames of outrage prompted by drone pilots who are certainly behaving badly, there is some encouraging news this week for UAV enthusiasts committed to doing the right thing. 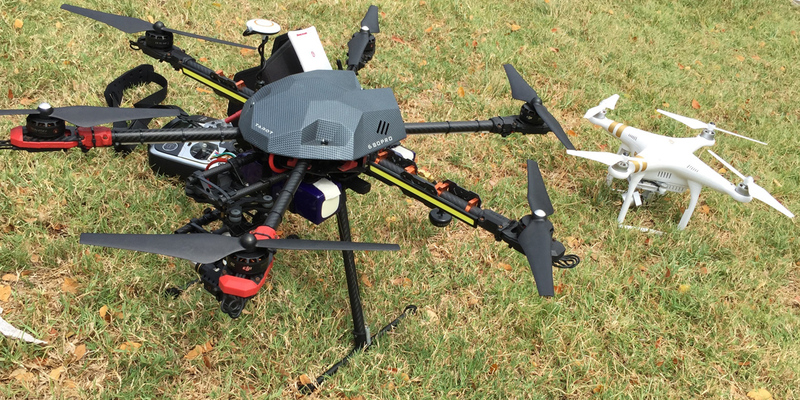 Drone Services Hawaii has received its coveted Section 333 Exception from the FAA, allowing it to operate commercially. Meanwhile, the Hawaii Drone Academy is hosting a specialized workshop to help other would-be commercial UAV pilots navigate through the same regulatory process. Drone Services Hawaii owner and general manager Mike Elliot announced yesterday that the FAA had granted his company’s Section 333 Exemption, which is the result of a long, complex, case-by-case process that is currently the only way drone operators can operate commercially before the federal agency finalizes its Small UAS Rule, which is still being developed. The news was tied to a larger announcement by Michigan-based Drone Services USA, a company that’s national in scope. In fact, Elliot and his national counterparts are on the verge of taking another bit step forward in their mission. Elliot’s Drone Services Hawaii cofounder, George Purdy, is also Drone Services USA’s director of Search & Rescue, Fire, and FAA Affairs. And Purdy has been in Alaska working with the University of Alaska on an FAA test flight certification program. “They will be making a huge announcement tomorrow about us, Drone Services Hawaii and a partnership that will [bring] jobs and technology to the state,” Elliot says. While securing a Section 333 Exemption provides a clear “first mover” competitive advantage, it can take months, and Bredow describes the wait as “nerve-wracking.” But like most drone enthusiasts, Elliot is happy to help others follow in his company’s footsteps. And for those serious about diving headlong into the maelstrom of FAA paperwork, a separate workshop is also being planned for anyone in Hawaii hoping to get into the business. The Academy is run by Ryan “Sal” Salcido, who also founded the Hawaii Drone Club. Less than a month after the club hosted a meetup with local FAA inspectors, this workshop is designed for people ready to take the next step. “We’re flying in an expert, and the class will provide you everything you need to mail in your application,” Salcido says. Attending the workshop costs $499 (with a $250 advance deposit). But Salcido says it’s a bargain. The workshop will be held Sunday, Sept. 13, from 9 a.m. to 4 pm.., location to be announced. For more information, visit the workshop website.